Introducing the 100% recycled tissue that’s 100% soft. Biodegradable. No scents or dyes. We believe in radical transparency. Don’t you? Green is good. Scratchy, recycled toilet paper on the other hand, is not. 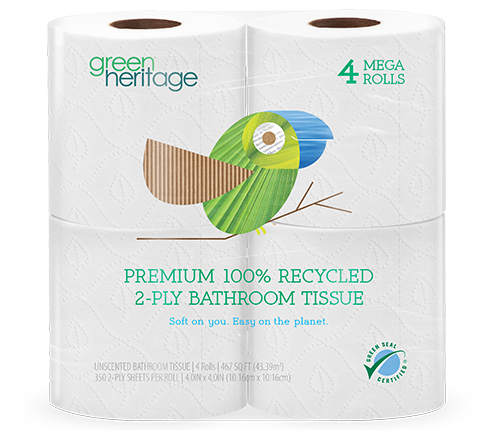 Green Heritage tissue products have been developed with your comfort in mind. 100% recycled. 100% soft. Here at Resolute Tissue, we like to know where our products come from. That’s why we source our own recycled pulp and produce our tissue with a focus on environmentally conscious and sustainable manufacturing practices. Our Hialeah, Miami tissue facility was even named Most Energy Aware Mill at the 2016 Tissue World Conference. Our tissue products are always made from entirely recycled materials and include at least 25% post-consumer recycled content. We like it when recycled materials come full circle. That’s why our tissue is completely biodegradable and septic safe. We believe in protecting the environment. That’s why we never test on animals. Green is good for the environment. That’s why our Green Team shares fun facts on how recycled products are good for you and the planet. Did you notice their distinctive colors? 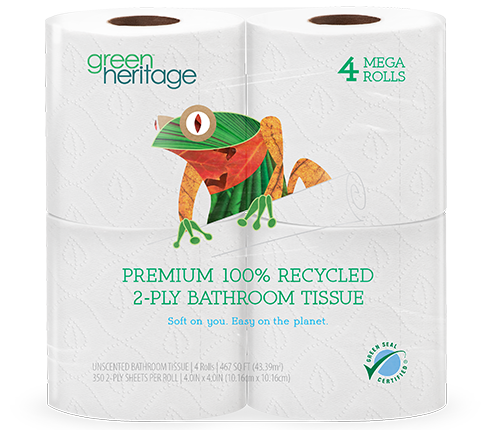 Just like our tissue products, the animals and birds that comprise our Green Team are made of 100% natural, recycled materials. Be on the lookout for our frog and parrot pals and discover some of their favorite facts.